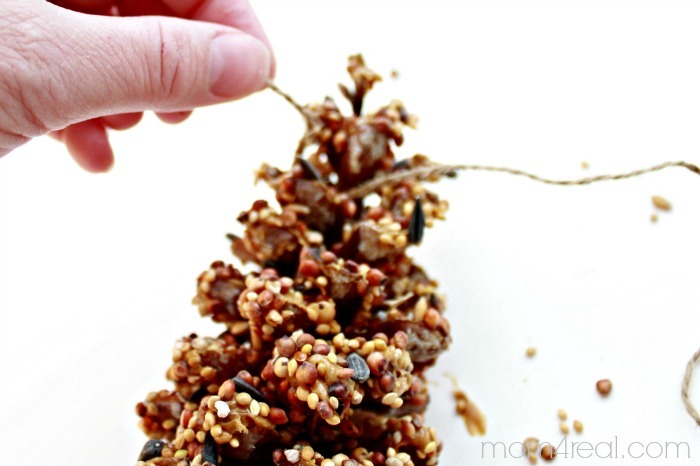 Each year when it gets cold and we notice that there are only a few birds left hanging around, we make them a few little treats. When Cam was younger, he made these, and now it’s Kate’s turn. 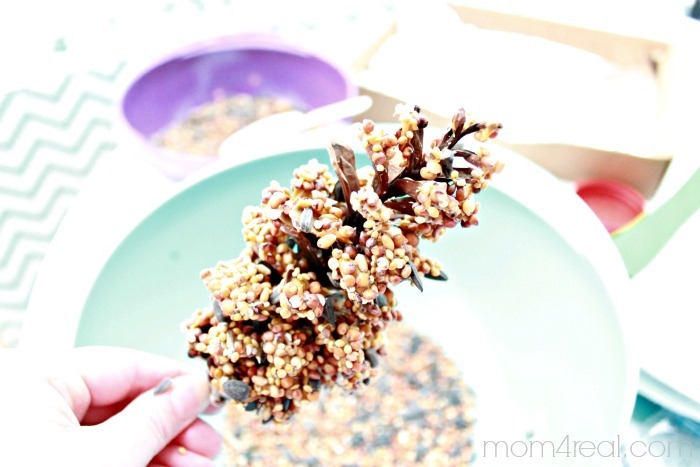 She was home sick today, so we gathered up some things and made a little Bird Seed Pine Cone Craft. They are super easy to make, and I think it made her feel a little better too! 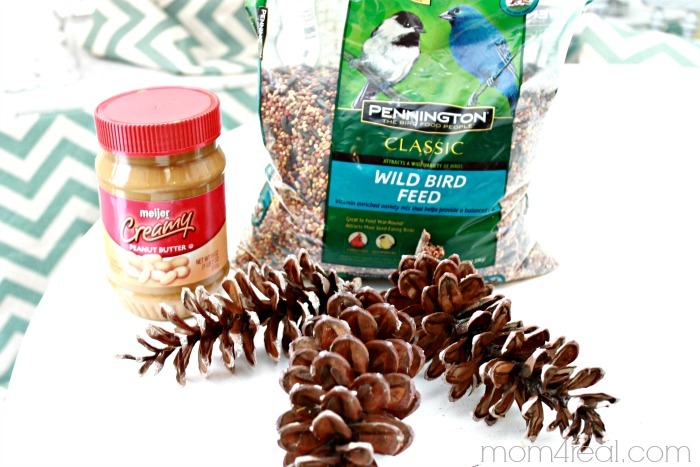 You will need peanut butter, bird seed and pine cones. 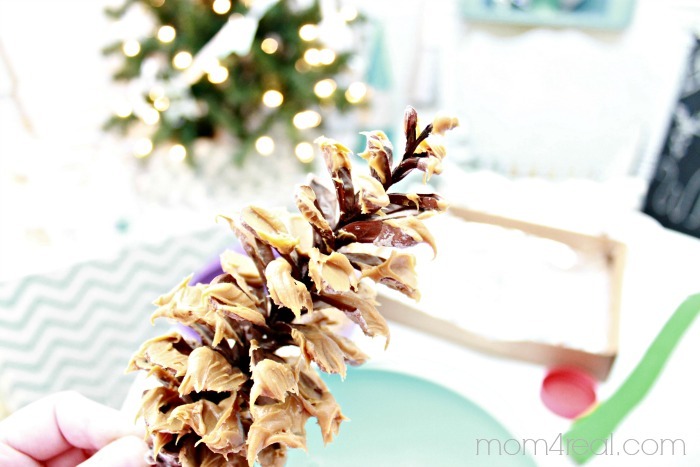 She took a spatula and added a little dab of peanut butter to the ridges of the pine cone. 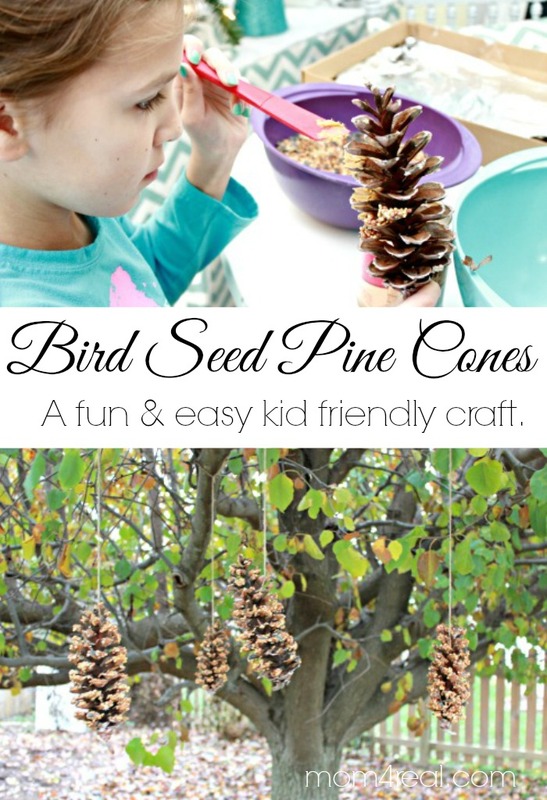 Then hold your pine cone over a large bowl and pour bird seed over the pine cone, turning the pine cone to coat the entire thing. 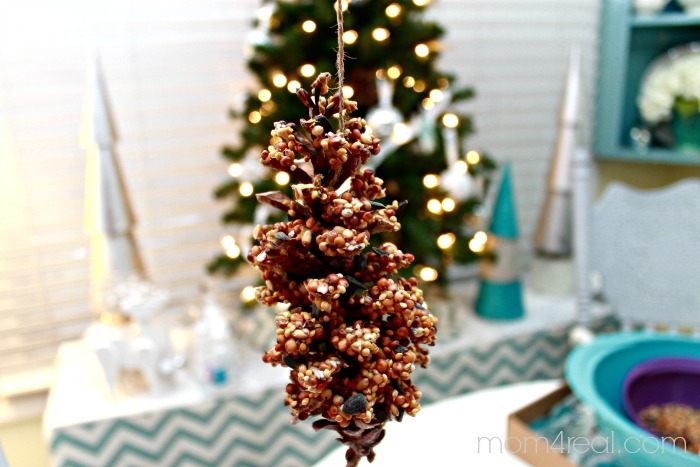 See…the entire pine cone is coated with bird seed goodness! 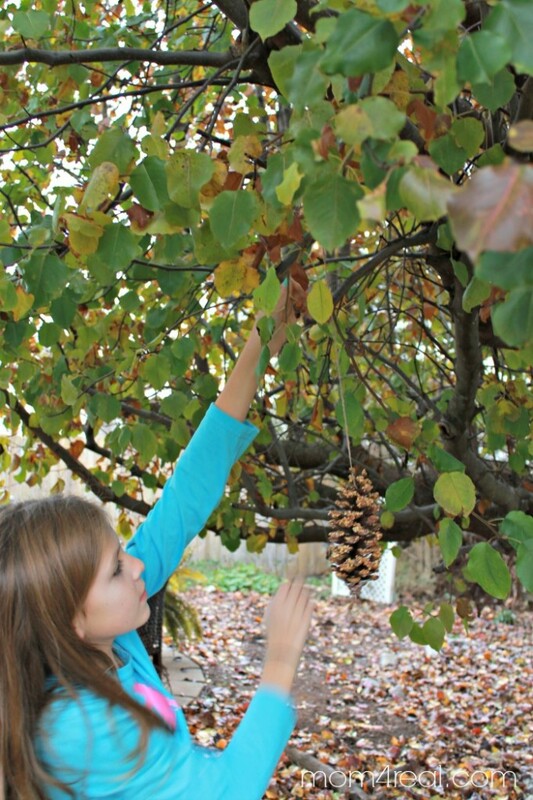 Tie a long piece of twine to the top of the pine cone tightly. It’s all ready to hang! As you can see, we made a few…aren’t they cute? The birds will be soooo happy! 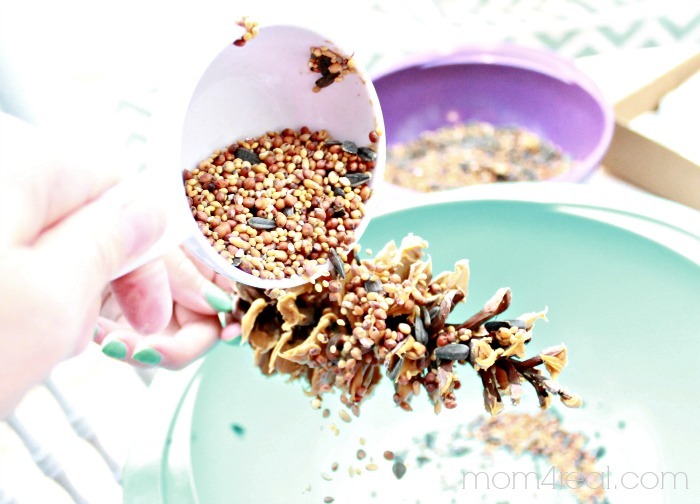 Do you have a fun kid friendly idea that you make with your kids each year? 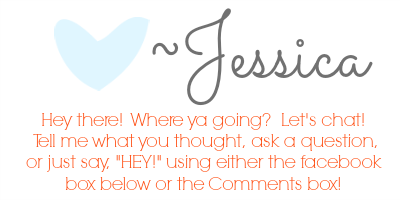 We would love to hear all about them! « How To Remove Spray Paint From Your Skin – No Chemicals! These are super cute! 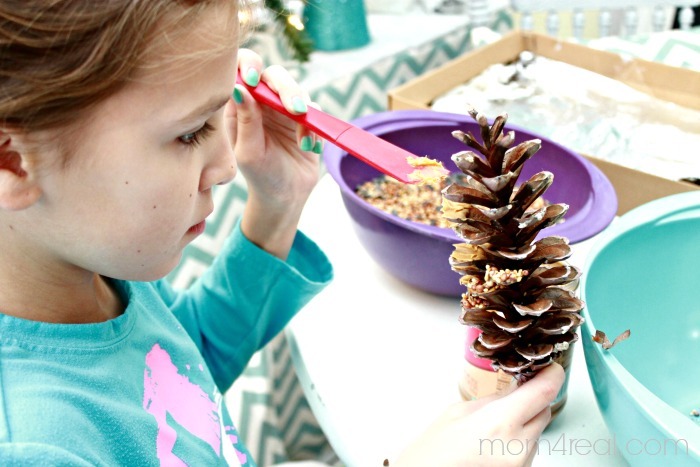 I’m going through Christmas decorations right now and there are all sorts of things you can do with pine cones, love this idea and pinning! Very cute idea. 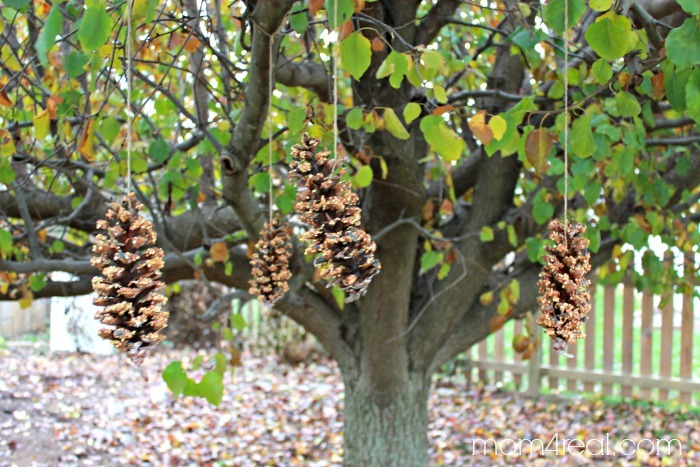 I used to collect pinecones and decorate them for christmas. Now I have a new one. Thank you.